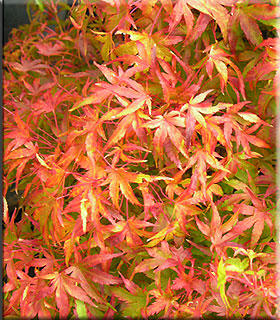 Comments: Small leaves first appear in shades of pink and red turning yellow-green and maturing to mid-green by summer. In fall the leaves change to a striking orange-red. A choice bonsai selection.